V-237 The Return of ... Grogg! Notes: Sequel to V-107 "From Out of the Black Pit Came ... Grogg!" 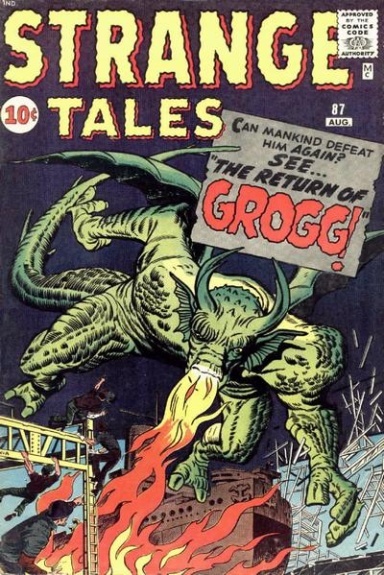 in issue 83; note on splash reads in part, "In the April issue of Strange Tales you encountered Grogg ... Now, we bring you the thrilling sequel to that amazing adventure!" V-239 The Lighthouse from Nowhere!